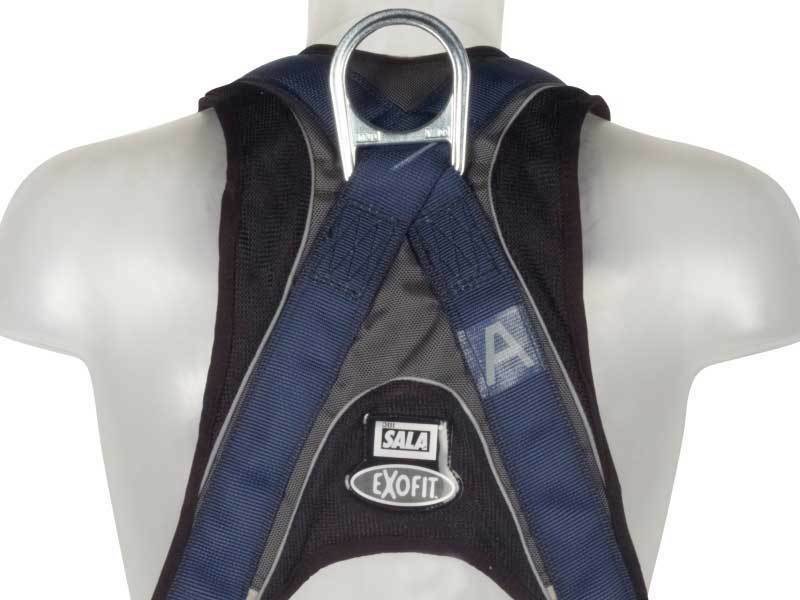 Exofit with twin attachment points for fall arrest on the chest and back. The Exofit Nex full body harness has a ground breaking design that is anti-absorbent and abrasion resistant. It features a wrap around, no-tangle design that slips on like a vest, making it quicker and easier to put on while providing ventilation, comfort, padding and security. The materials are soft and lightweight, yet extremely durable. The shoulder, hip and leg padding is built in with a breathable lining that guarantees you will stay dry and comfortable. The quick release buckles are fast, efficient and totally secure. 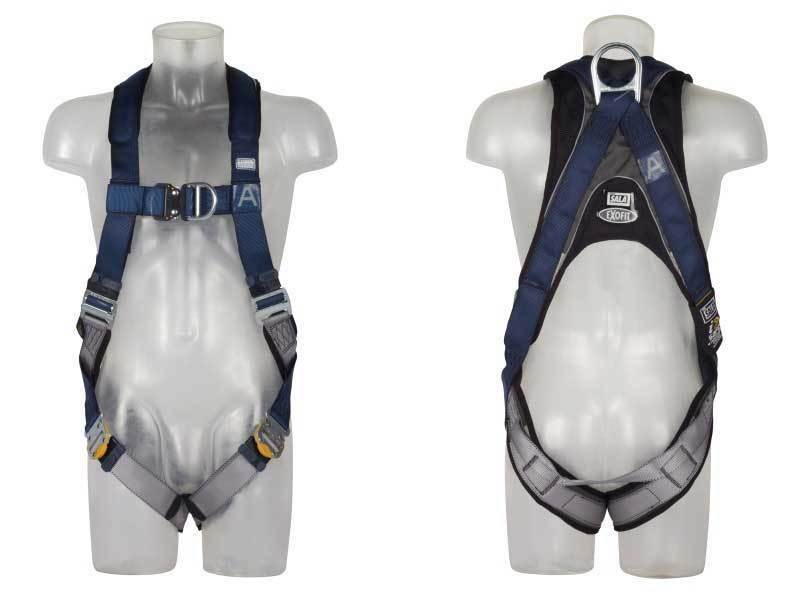 This harness can withstand severe demands and has a capacity of 140kg for the wearer.